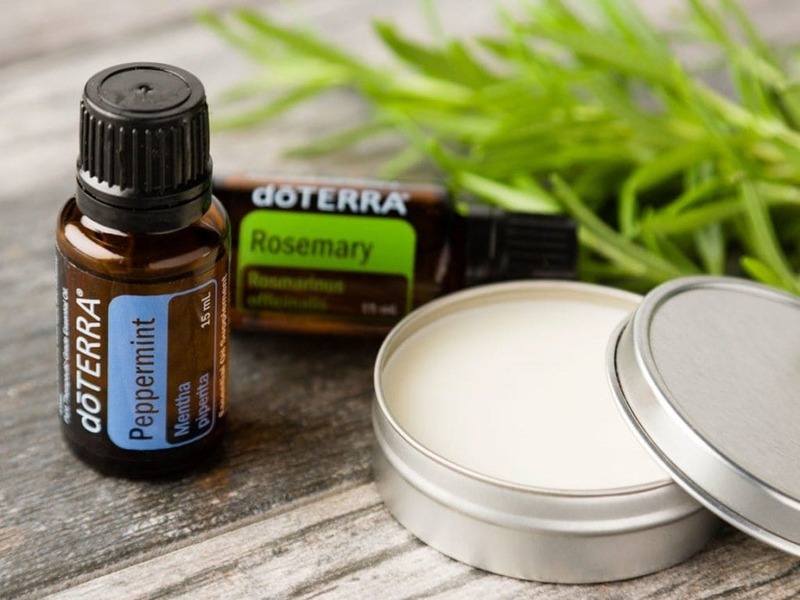 An Introduction To Essential Oils; Free Oils & Free Class... | The Free From Fairy. In the last few years I have become more and more interested in following a natural life. I’ve observed first hand the effect that food has on our bodies and I’ve started to question more and more what goes in, and on, them. The more I read, the more fascinated I become in the gut microbiome (the bacteria that lives in our guts) and the theories that surround why we are becoming an allergic nation. Theories vary but follow the lines of increased chemical, pesticide and enzyme usage, degradation of the soil (leading to nutritional degradation in the food we eat), disappearance of parasites in our gut, increased number of vaccinations, excess pollen, and electromagnetic radiation. All of which could have an impact on the variety of beneficial bacteria living in our gut that contribute to correct immune functioning. It’s a complex subject, and one which I am not going to go into in detail. Needless to say, it has lead me to look for alternatives for my family to the chemically laden skincare, cleaning products and medicines that we are exposed to in daily life. In July, I met Rebecca at the Allergy & Free From Show. I was flagging after a long day, and like an angel she appeared out of nowhere with two little brown bottles. She told me to hold my hands out and proceeded to add a drop of peppermint and a drop of orange essential oil to my hand. She instructed me to rub my hands together then breathe the vapour in whilst taking some deep breaths. Within minutes I felt rejuvenated and fascinated by the power of essential oils. Since then I have been in touch with Rebecca to learn more about the oils and to try more out for myself and my family. I’m hoping they will keep the bugs at bay while we are in New Zealand and I’ve been exploring all kinds of other ways to integrate their use into my life. For example, I use them in my homemade cleanser, moisturiser and deodorant; I’ve used them in baking; I’ve used peppermint oil for my headaches (with great success) and I’ve started to take oregano oil to see if it can help me combat candida once and for all. The whole subject fascinates me, and I’m excited to explore more natural alternatives to our chemical-laden/medicine-laden lives. 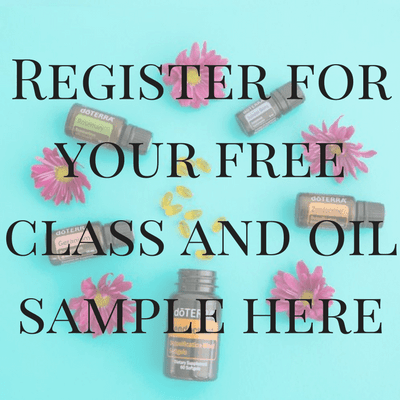 If you’re also interested in finding out more then read on because Rebecca is offering my readers a free 1 – 1.5 hour online class to learn the basics about essential oils. Not only that, but she is also offering a free oil sample to anyone who attends. I’ve asked Rebecca some questions about the oils that she sells so I’ll hand over to her to tell you more and to introduce her incredible offer. When did you first start using essential oils as a form of natural medicine? I first came across doTERRA about 4 and half years ago through my mum who was 73 at the time. She was taking Statins and Beta blockers for some pretty serious health conditions but like many people was experiencing severe side effects. A friend suggested she try using doTERRAs essential oils to help with her health. After six weeks, mum started reducing her medications until she was completely drug free, using just essential oils as her medicine! This really triggered a keen interest in me that I started to research and explore. I attended a class where I learnt the basics of essential oils and have never looked back! There are many different companies that produce essential oils, what makes doTERRA’S oils different? 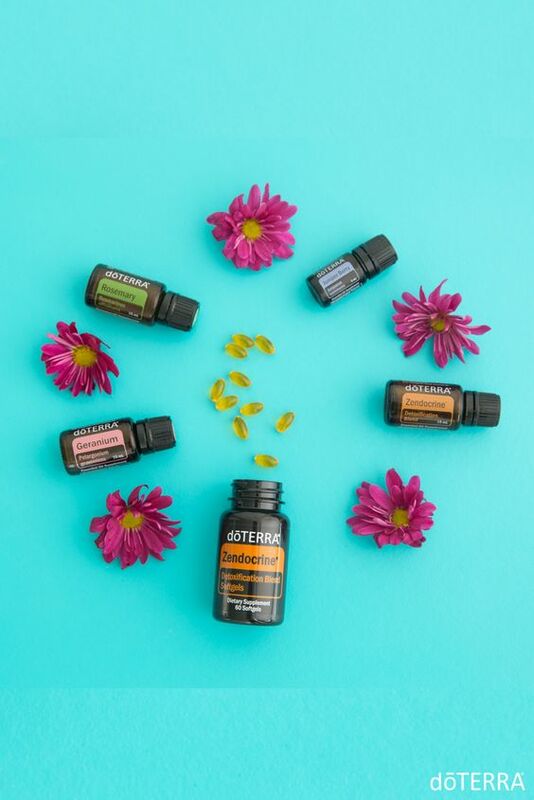 doTERRA started with a vision to produce therapeutic grade oils which are completely pure and without anything else in them. They achieve this high standard in two ways; firstly every single one of their essential oils is sourced from its natural habitat which makes a significant difference to the potency of the oil. Secondly, each essential oil is carefully and thoroughly tested using the strict CPTG Certified Pure Therapeutic Grade® quality protocol. This guarantees that the oils are completely pure and free of contaminants. What can you use doTERRA’S Essential oils for? They are the strongest form of plant medicine and can be used to help the body heal from so many different ailments, both physical and emotional. Would you mind sharing some ways that you and people you know have used these oils? My very first experience was where I used an essential oil to help clear up a tooth abscess, it was amazing, after using the oil a couple of times, the pain really started to cease and then after three days the abscess had completely healed! I have three girls under 8 who often bring back viruses and infections from school, so we use them to help prevent us getting these but also to fight them when they get sick. Other things they are commonly used for is; digestive pain including food allergies, respiratory conditions such as croup, chest infections and asthma, muscular pain, sleep, arthritis, stress, anxiety and headaches. However, they can also be used to help with more serious conditions too. They really are a very safe alternative to medications. I heard that you can take doTERRA’S Essential oils internally, is that true? Yes! I have to be very careful what I say here as I don’t want your readers to go and take any essential oil internally. Due to the testing that doTERRA carries out on every single one of its essential oils, they are guaranteed to be completely pure and free of contaminants. As such they are safe to take internally and in some instances are most beneficial when taken in this way. Does this mean you can use them in cooking? Absolutely! The most beneficial way to use these oils when cooking is to add them in at the end of the recipe so that they are not heated which will therefore give you the most therapeutic benefits. Great examples would be to use them to flavour icing or in raw chocolates, salad dressings and soups etc. I also love to put a drop of lemon essential oil in a glass of water which makes it much more interesting! That is a very hard question. When I first started using the oils, it was mostly for physical ailments, but now I use them more to help balance emotions. It has to be a toss-up between Peppermint (I use to wake me up and helps me to focus) and Balance which is a blend doTERRA does to help with grounding and helping you to feel calm. Why did you choose to work with doTERRA’s essential oils? After discovering how incredible essential oils were, I decided to partner with doTERRA to help share these oils with as many people as I can. As a mother, I feel so empowered that I have something natural and safe that I can use on my children and want everyone to have the same opportunity to take more control of their own health without having to reach for medications every time. Watch the video below where Rebecca will explain the amazing offer she is giving all of you. 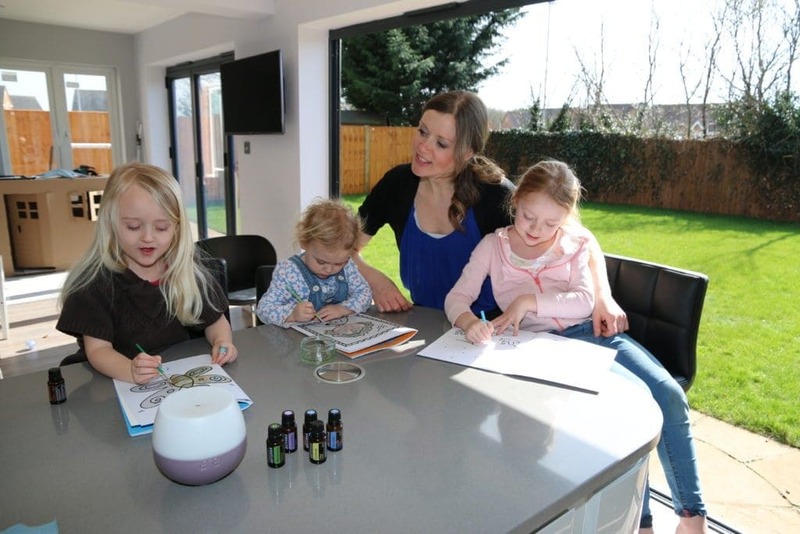 As I said before, she has offered to give all of my readers an opportunity to attend an Intro to Essential Oils Class for FREE (the usual price is £10 plus booking fee). The classes last for about an hour and a half and will be online. There are four times to choose from. 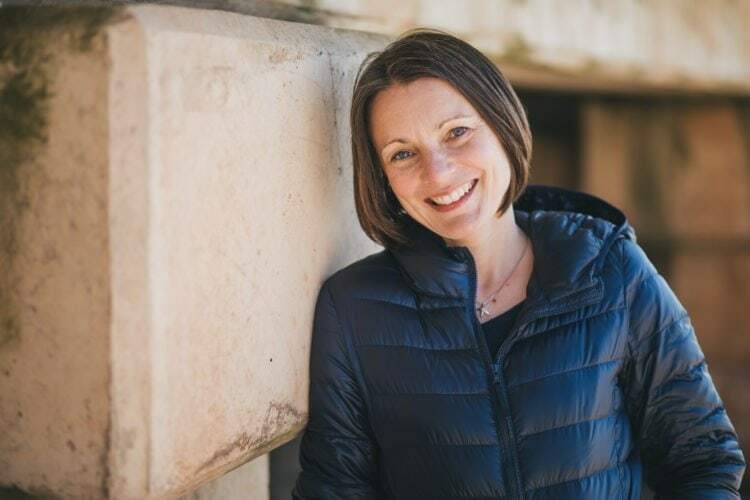 In the class, Rebecca will explain what an essential oil is and how you can use them safely and effectively to help with most common ailments, both physically and emotionally. Rebecca would also like to gift everyone who registers for a class a free essential oil sample of their choice. She will also give you a quick phone call to explain how to use it. If you would like to receive a FREE sample and class, please click on the photo below where you can select your preferred date for the class and choose the sample you would like. Digestive issues including; constipation, diarrhoea, heart burn, acid reflux, bloating, motion sickness etc. Something to help you feel more awake!